In the hierarchy of sheet masks that exists in my life (yes, that's a thing) I would honestly have to rank this one at third. ** That's saying ALOT considering I think I must have tried at least a hundred right now. 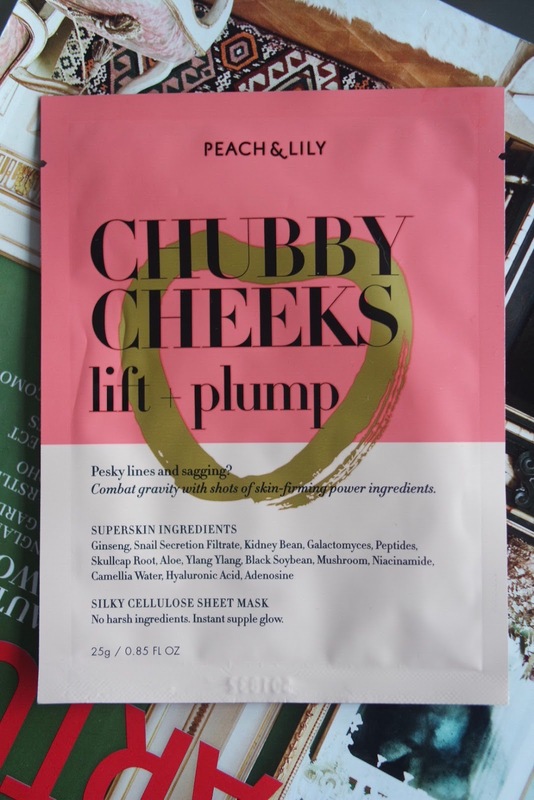 TBH, I think that plumpness is not something that is currently stressing me out (I feel so locked down in my current glow/hydration routine) whereas this pesky adult acne and the resulting scars are much more of a stressor in my life. That said - if plumpness and lift is on your wish list this would be at the top of my recommendations. Like it's cousin the Reset Button, this mask has that amazing feeling and fitting sheet. I know I said this before but I never really thought about how important the actual sheet is for the effectiveness and pleasure of the experience. This one nails it. Top points for having a thin, silky feel and just the right amount of serum. After words my face looked plump and dewy - all the things I aspire towards. The only reason it's third is probably because of how absurd my obsession is with the first two. Also, full disclosure, the next day I had a new spot on my chin. I have been playing whackamole with my chin for so long that I had like a PTSD reaction. Next time I use this one I will probably fold it up, or cut off the bottom. Not even sure these two things are related, logically and from what I know about science probably not. I confess that sometimes I can be a little insane in my correlations. In hindsight, as I write this I realize how insane I am being. I am going to refocus now. The ingredients in this one are equally awesome and all on my radar as super hero-type stuff.